Earlier this year, we were thrilled to be involved with the Brotherhood of St Laurence’s inaugural Hope Prize. The Hope Prize was established, thanks to the generosity of the late Prudence Myer and the support of her family, to encourage writing that transcends stereotypes of ‘the poor’ and reflects the resilience we know that people show in the face of poverty and testing times. Judging this Prize really was a community effort. The Brotherhood received over 1,000 entries and volunteers from the Brotherhood, Readings and RMIT read through these powerful, diverse range of entries to create a longlist of 46 stories. Staff at publisher Simon & Schuster then read through the longlist and handpicked a shortlist which was presented to the 2016 judging panel, comprising Cate Blanchett, Kate Grenville and Quentin Bryce. (Cate and Quentin are pictured below with our Managing Director, Mark Rubbo.) These esteemed judges were impressed with the very high standard of writing and reported that all the finalists revealed powerful perspectives on the world at large, and displayed unique, unpretentious and authentic voices. Simon & Schuster were so impressed with the stories that they’ve published a collection of the winning and recommended stories. 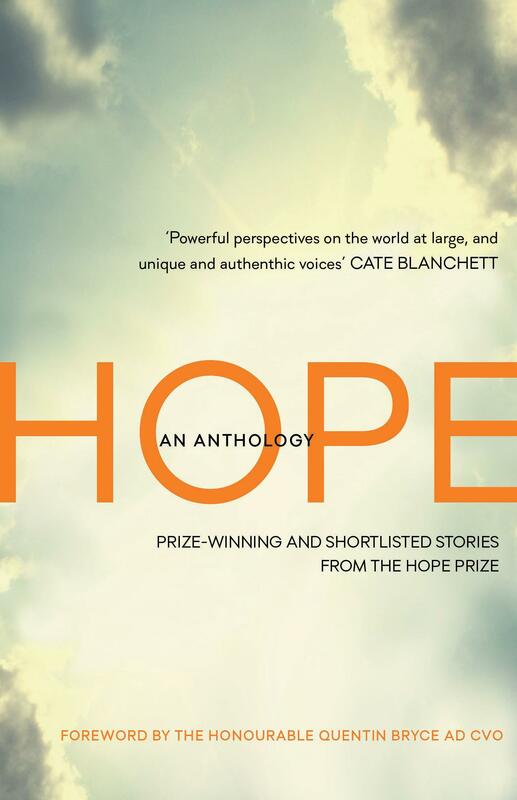 We hope you will join us for this wonderful anthology’s launch in our Carlton shop next Monday.